From Big Band bandstand-style ensembles, trumpet/sax/keyboard/guitar soloists, trios and quartets, to full dance bands with vocalists who sing the American Songbook standards and modern jazz favorites - our musicians and singers will make your event shine with classic elegance. Originating from Louisiana, this style of jazz spotlights the accordion and guitar sound. Gypsy jazz (also known as gypsy swing or hot club jazz) is a style of jazz music often said to have been started by guitarist Jean "Django" Reinhardt in the 1930s. Inspired by 1950s era styles of Dave Brubeck, Miles Davis and John Coltrane. 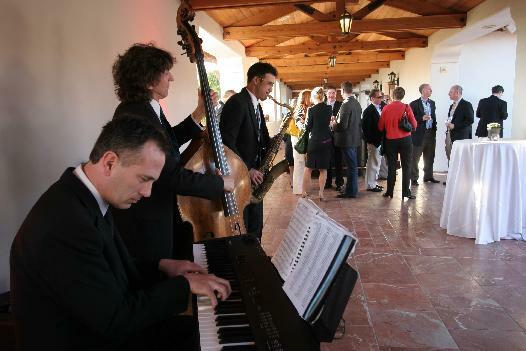 We can put together any combination of instruments for a trio, quartet or quintet.